Condition: Overall low even pile. One tiny hole. Loss at one end. Notes: This is an awesome collectable carpet. Despite low pile, the natural colours shine through - especially noteworthy is the wonderful green (speckles of blue and yellow!). 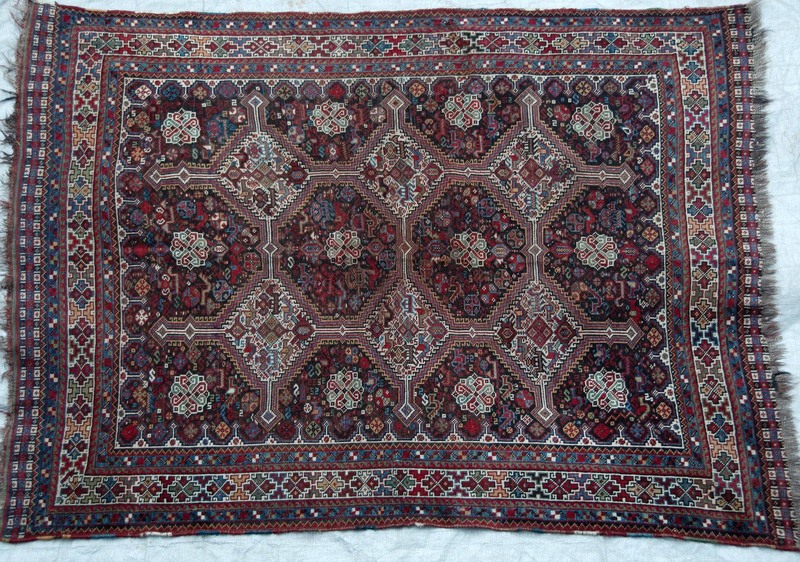 Very finely woven and detailed. A masterpiece!